Professional Webdesign at Dynamic Web Design and Marketing in Dundalk, Co. Louth call 086-6056995 for free quote, we are experts in Webdesign and social media business setup, all our websites are mobile optimized. If you require a top quality modern website, that will actually be ranked by goggle, then consult us now today. At Dynamic Web Design and Marketing each website we create are all Mobile Optimized. This is critical as almost everyone has a smart phone in their pocket with access to the internet 24/7. Half of all online traffic visiting websites are now coming from i-Phones, Blackberry, Nokia's and Android smart phones. Do you want your business to be found online easily? A quality website designed and built by us, will be seen on the top pages on search results in Google, Bing and Yahoo search engines. Each website we build has a Blog add-on to it and we teach and show you how to update it. We hand the website back to you so that you have full access into the website to update the website with new pictures and content so your new website, is always fresh. We have many testimonials from happy clients to back this up, if you require to see our proven records. Local online mobile search is now the number one way people connect with a business for the first time. Yellow Pages are quickly becoming a thing of the past and the first few pages of Google are now the most valuable real estate in Ireland. This is exactly where you need to be establishing a presence if you want to be found by the majority of people now seeking your products and services. This is where all the eyeballs are looking for local business. More and more people are turning to the Internet on their smart mobile phones to find local business and services. People search for these products and services online before they make a purchase. The reason why this is happening is simple, they are checking out prices to make sure they are getting good value and that the service is good when they hand over their hard earned cash. So the big question is are you happy to let your competition get the extra business or would you prefer that business comes to your business. Traditional marketing and advertising methods worked for decades but they don't work so well anymore, television, magazine, newspaper and radio advertising have all had double digit advertising losses in the last year alone, and ads are very expensive so for businesses to spend their marketing and advertising money on these old methods is not of great benefit anymore and there is much more profitable alternatives such as social media and mobile marketing. Forester research surveyed 4000+ businesses and found that over 90% of business owners stated that SEO (Search Engine Optimization) was in their top 3 strategies for acquiring new customers, statistically speaking the top 8 companies that show up on Google places/maps and social media sites get more than 66% of all the business, so clearly SEO and social media marketing is the way to go and it's as simple as this, if your business is in the top 8 then your business grows and if your not then it doesn't grow! Targeted site traffic is the life blood of business online. Traffic becomes customers. Whether it is a brick's and mortar mom and pop business, a medium-size business or a home-based business, it needs traffic to a website to make customers. Yet one of the most difficult things to do is obtain traffic: people to talk to/communicate with. People do more business with those they know, like than with strangers or unknowns and forget it if they don't trust you. What one needs to be able to do is build relationships. You know, it’s not easy to meet people and fill a room, over and over again. They are out there searching online, participating in Social Media - Tweeting, watching videos on YouTube, interacting on Facebook and "more often then not doing all this on their mobile phone". Dynamic Web Design & Marketing can also turn your still pictures into a video with music and voice-overs, introducing your products and services and launch it up on YouTube. Without a comprehensive internet presence, you are completely missing these potential clients. 1. Webpage, Blog, Article, Website, Facebook, Twitter. 2. Video, You Tube, Viddler, Meta Cafe. "Early to bed, early to rise, it is not worth a damn if you don't advertise." manage your blog posts from anywhere on your mobile. At Dynamic web we build your website and link it to all your social media, Facebook, Twitter, Pinterest, Google +, and more. This great tool helps your clients and browsers search pages for specific information within your website, e.g, specific related topics, and content, and blog comments or posts. With each Website that's built, we make sure that Google, Yahoo, & Bing will love your website. This will get your website ranked. We organize affordable hosting for all our clients. 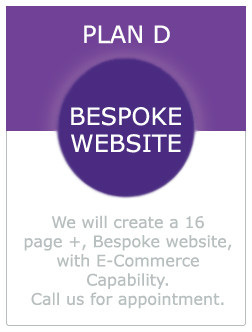 that is perfect for your business, one that will represent your business the way it should be. Track and see the progress of your business website. 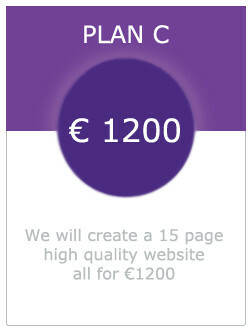 We work everything that you need to start a high-quality website. We give you some valuable tips on how to get your new website ranked with google, yahoo & bing.